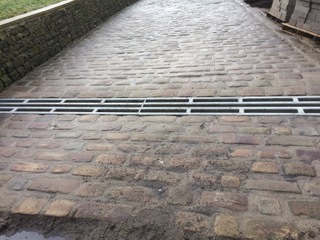 The ability to capture flood water that would otherwise be running down roads or entering private property is a useful tool in the armoury of the Highways Engineer. 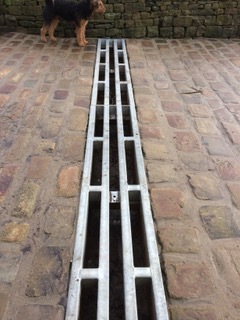 Drainage Catchpits from Blackburn & Roberts are expertly designed and professionally fitted to provide an ideal solution to this problem. 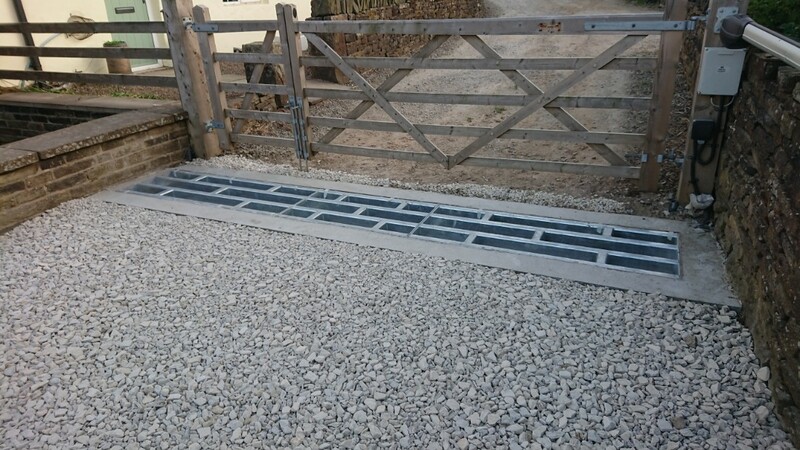 Drainage catchpits are essential in any location where the flow of water must be controlled, contained or diverted. 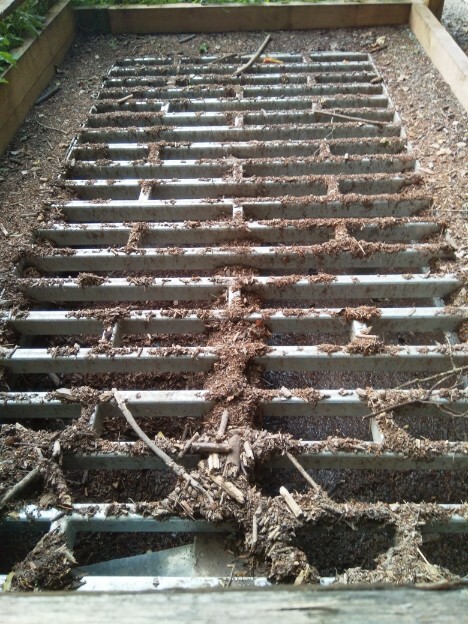 Drainage catchpits are equally useful to separate silt from the flood water for subsequent removal. 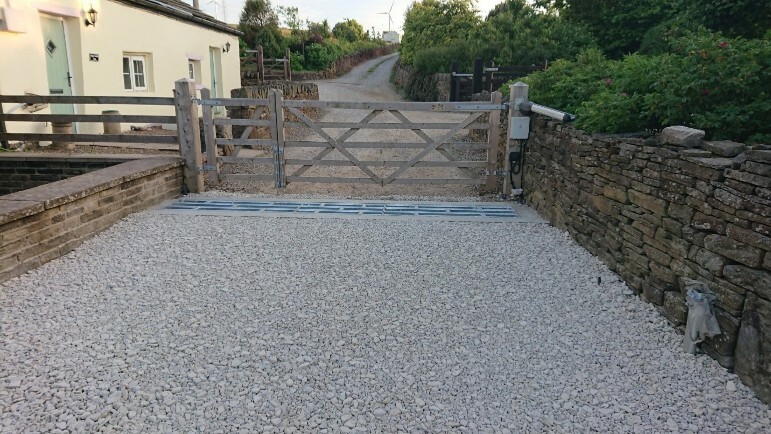 The Water Framework Directive makes this an essential consideration in the planning of new highways. Over the last decade or so, the change in weather patterns has led to more intense rainfall, creating more surface water and flash flooding. 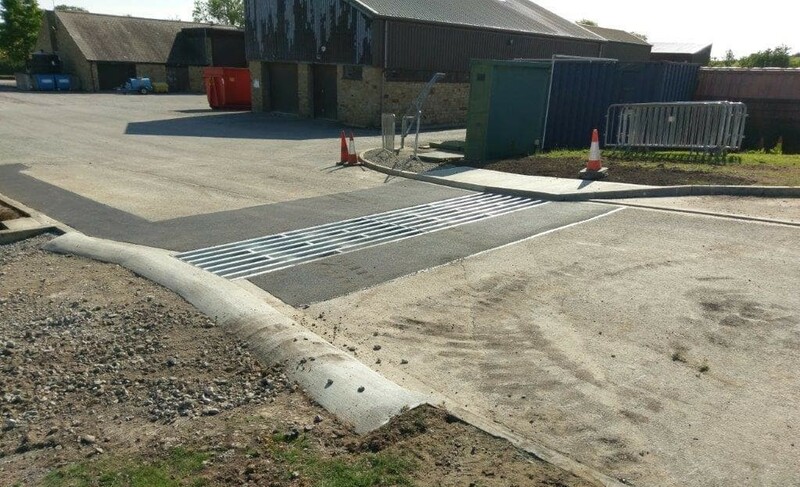 Our range of Catchpit Grids and substructures offer a comprehensive solution to the issue as simply allowing highway run off to enter water courses in becoming increasingly problematic. 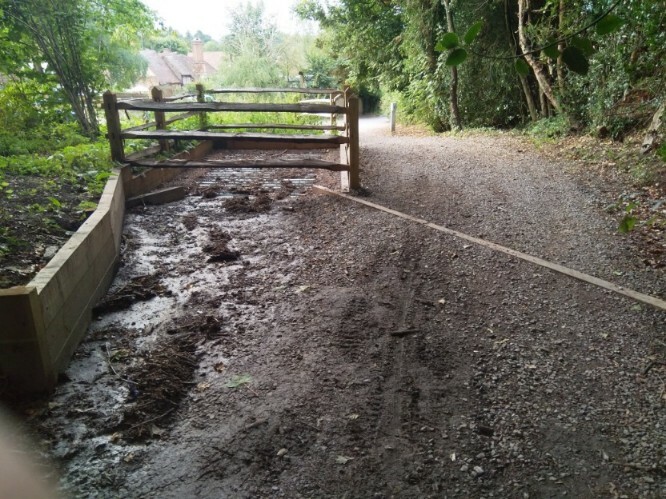 Shere Parish Council had a persistant problem with water running down a ancient trackway from the hills,causing flooding and depositing stones and debris in the village. We designed and installed a specially designed catch pit. The water and the materials it carries pass into the catch pit which separates the waste from the water which is then piped away. The unit works perfectly and the clint is satisfied-the ultimate measure of success! 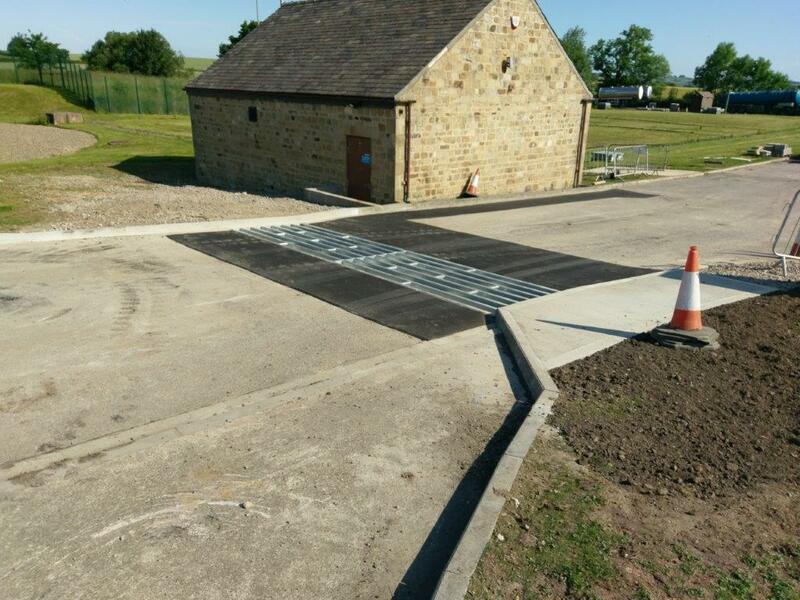 The Blackburn & Roberts range of catchpits covers all styles and all loadings from Pedestrian (5kn/sqm) through to HA and additional units of HB (if required). Our designs for the grid support structures can be included in a scheme or we can simply use one of our grids on one of your own designs. We are equally happy to supply standard units for domestic premises. Please contact us for more details.